A look at Russia's foreign policy under Vladimir Putin, analyzing Russia's foreign policy priorities and actions and examining the country's identity construction as a way to understand its political culture. Since its independence in 1991, Russia has struggled with the growing pains of defining its role in international politics. After Vladimir Putin ascended to power in 2000, the country undertook grandiose foreign policy projects in an attempt to delineate its place among the world's superpowers. With this in mind, Robert Nalbandov examines the milestones of Russia's international relations since the turn of the twenty-first century. He focuses on the specific goals, engagement practices, and tools used by Putin's administration to promote Russia's vital national and strategic interests in specific geographic locations. His findings illuminate Putin's foreign policy objective of reinstituting Russian global strategic dominance. Furthermore, Nalbandov argues that identity-based politics have dominated Putin's tenure and that Russia's east/west split is reflected in Asian/European politics. 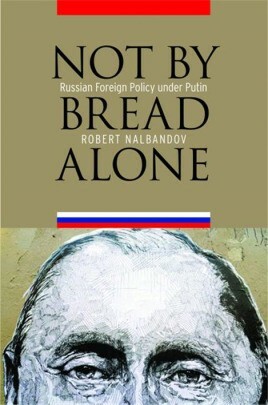 Nalbandov's analysis shows that unchecked domestic power, an almost exclusive application of hard power, and a determined ambition for unabridged global influence and a defined place as a world superpower are the keys to Putin's Russia.